Lawn Sprinkler Startup Cost is $75 Plus $5 Per Zone and Parts. This service includes one free hour of labor for repairs, and one free service charge call-back, to be used for sprinkler issues, or a midseason checkup. Cost is 75.00 plus 5.00 per zone and plus parts. Spring Yard Cleanup. No matter what kind trouble you are having with your lawn, we can get things ready for spring, or even before listing your home for sale. Call Allscape today to get started! 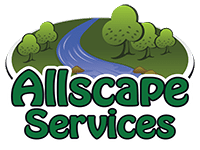 Allscape Inc is the premiere full service landscape and lawn sprinkler company in northern Il. We provide sprinkler turn on service and RPZ certification in the spring, mid summer sprinkler maintenance ,and blow out service in the fall. Can I service my RPZ? NO, this can only be done by a licensed plumber with a CCDI license, who then must submit paperwork to the city and state. The price in Northern IL. for this service ranges from $90.00 to $125.00. When is it OK to turn on my irrigation system? After April 15th should be good, unless we have a long winter and deep freeze. Allscape landscape maintenance programs have the flexibility to meet the needs of any customer. Our sesonal irrigation turn on and blow out services complete the expert lawn care service provided by Allscape.